ADDIS ABABA, Ethiopia - The French Government has recognized the crucial role played by civil society as key stakeholder in the ongoing dialogue process for a post-2020 climate change agreement. 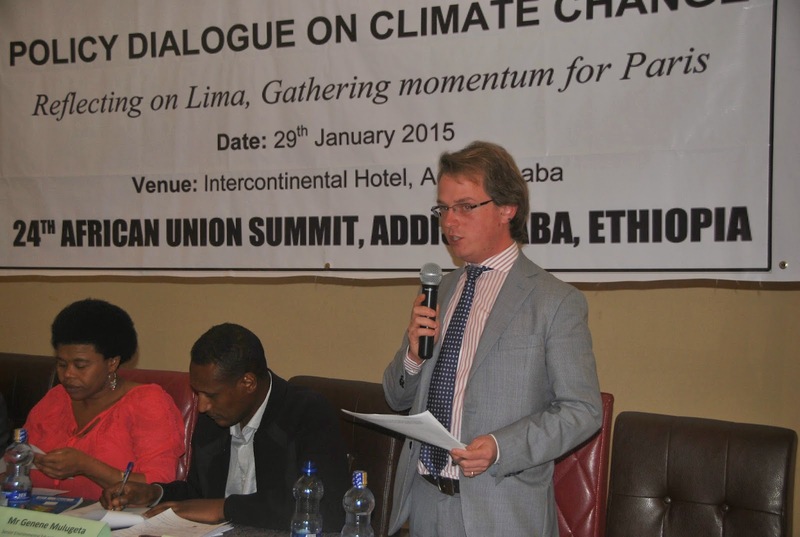 Speaking at an event held in the sidelines of the African Union Summit in Addis Ababa, Ethiopia, Nicolas Dasnois, from the French Ministry of Foreign Affairs and International Development pointed out that views from all stakeholders should be considered if the world is to deliver an ambitious and all-inclusive deal for climate change. 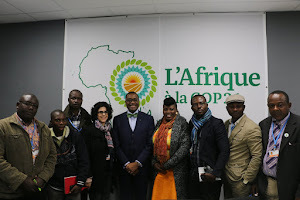 Dasnois said that the next Conference of Parties (COP21) is the largest event the French Government has ever organised, and that “the momentum has already kicked off,’ he said at the joint event organised by the Pan African Climate Justice Alliance and Development Agency, Oxfam. The official assured the civil society of the French Government’s support to guarantee enabling environment for all stakeholders to contribute to the much-anticipated Paris Agreement. Over the last couple of years, various civil society groups have directed their anger towards the United Nations Framework Convention on Climate Change UNFCCC over what they term as deliberate attempt to frustrate their participation and contribute to the negotiation processes. The Nongovernmental Organisations have observed that the progressive limitation of observer participants through quota system is meant to kill their vocal stand on some critical issues and sometimes the manner in which the negotiations are conducted. Speaking at the side-event event, top African negotiator and Tanzanian head of delegation to the UNFCCC Richard Muyungi underscored the importance of unity among African stakeholders, including the civil society, saying that this was the only way to ensure the continent’s position is respected at the global level. “Of course we have come from far and the African Group is the most formidable block in Negotiations, we must note that that the coordination framework among key African organs and initiatives has made our voices louder,” he told participants. “I wish to thank the people of Ethiopia and particularly the Late Prime Minister Meles Zenawi for steering the Conference of Heads of State and Government on Climate Change (CAHOSOCC) which President JakayaKikwete took over. We now have the commitment of our political leaders at the highest level possible,” added Muyungi. The event was held as part of policy dialogues on climate change spearheaded by PACJA and its partners to ensure African governments acknowledge the need and urgency for a progressively fair, equitable and ecologically just climate change deal in Paris that is responsive to African realities and aspirations. The event also addressed by the African Climate Policy Centre’s Johnson Nkem and the Pan African Parliamentarians Network on Climate Change (PAPNCC) President Awudu Cyprian Mbaya was aimed at sharing reflections and perspectives on what the outcomes of COP20 means for Africa and its people as well as contributing to African Union’s debate and preparatory process in the countdown to COP21. Organizers also sought to strengthen coordination and relationship with African Union, particularly its organs and initiatives.